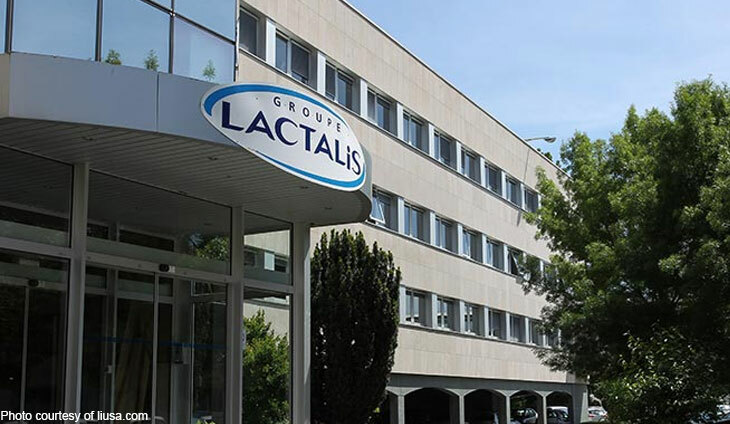 French dairy giant Lactalis, caught in an uproar over salmonella contamination in powdered baby milk, has repeatedly apologised for the scandal since it erupted last month. But so far its chief executive Emmanuel Besnier, heir to one of the richest families in France, has not spoken publicly about the outbreak nor a chaotic product recall. Born in 1970, Besnier lived most of his life in the Mayenne department of western France, home to the Lactalis headquarters in Laval where his grandfather Andre Besnier founded the company in 1933. His family owns a castle surrounded by forest near the village of Entrammes, and his children once went to a local private school. But now “the entire family has moved to Paris,” according to a local journalist. If Besnier has ever given an interview to the press since taking over the company when he was just 29 years old, it has yet to emerge. The few public photographs of him that exist date from more than ten years ago. “I’ve asked around with former classmates from primary and secondary school. They all say the same thing: He was very private and he still is,” says Philippe Jehan, president of the FDSEA agriculture union for Mayenne. Being given the reins at such a young age may have reinforced his desire to stay out of the spotlight. Besnier’s secrecy extends to the company, which refuses to disclose financial details, and has accepted penalities instead of filing accounts with France’s corporate registry. After a humble beginning as a maker of camembert, the company, which long carried the family name, was pushed onto the global stage by Besnier’s father Michel, also known for his cultivation of secrecy. It changed its name to Lactalis in 1999 as it bought two cheesemakers in the United States, shortly before Michel’s death in 2000. Emmanuel Besnier, who has an older brother and a sister, then took over, proceeding with a series of international acquisitions that have made it the world’s third-largest dairy group, after Danone and Nestle. Last year he ranked among the 10 wealthiest people in France, according to Challenges magazine. Besnier has long drawn the ire of French dairy farmers, who accuse the industry leader of using hardball tactics to drive down wholesale prices. Standoffs over pricing are regular occurences, with negotiators often faced with a chief executive who refuses to budge an inch — a stance that can also test the patience of government officials. In 2011, Lactalis refused to supply its President butter, Societe roquefort and other household cheeses to the Leclerc supermarket chain for over a year over a pricing dispute. “He’s a young leader, but the way he acts with producers, we feel like we’re back in a previous century,” Henri Brichart of the FNPL milk producers’ association said during talks in 2012, accusing Besnier of “paternalism”. In January 2017, after a group of milk producers voiced their complaints in an investigative programme aired by France 2 television, Lactalis broke its contract with the group. Besnier also filed a complaint against the programme for “infringing on privacy” for showing images of his castle at Entrammes.